While it may not seem like it, 2015 was a worse year in some ways for capital markets than 2016 has shaped up to be so far. Volatility was higher and potholes were deeper to be sure but, more importantly, the tenets of traditional portfolio construction failed. According to Bloomberg, the correlation of losses was the worst since 1937, meaning most everything was negative together (as far back as 1995, at least one asset class has delivered a positive annual return of 10% or more). In 2015, the best performing asset class, REITS – which typically resides at the margins of most portfolios – eked out 2.8%. This was nowhere near enough to offset the whopping losses traditionally-allocated investors experienced in core allocations to commodities (-24.5%), emerging markets equities (-14.6%), and so on. Bonds, as we have worried would be the case in a changing interest rate environment, did little to offset the risk in other asset classes, finishing the year roughly flat. Rain portfolios skirted the major potholes as the result of two key portfolio features: 1) the tilt away from factors that we have identified as being sensitive to the US interest rate cycle and 2) the reliance on lower-volatility equity strategies on the Growth side of portfolios – rather than sole reliance on bonds – to buffer market risk. We never know at the outset how long it will take for a particular theme – or set of themes – to play out. The global central bank divergence story that we’ve been focused on since mid-2014 still seems to be in full throttle, albeit evolving. Initially, we perceived that the dollar would be at the leading edge of the US interest rate cycle; the dollar and dollar-sensitive assets like commodities, resources, commodity-driven Emerging Markets, and High Yield debt markets would begin to price in the effects of Fed tightening in anticipation of the actual event. The effect would be unusually strong because, not only was the Fed gearing up to hike, but the rest of the developed world was still easing monetary policy with gusto (Europe and Japan both eventually went as far as to run negative interest rates). From June 18th 2014, when Fed Chairwoman Janet Yellen began laying the framework for eventual tightening, through March 13, 2015, the dollar appreciated more than 23% versus other developed-country currencies, while commodities lost 28%, and emerging markets lost 11%. The primary effect of a strong dollar was particularly acute for commodity-driven emerging economies like Brazil and Nigeria whose equity markets fell by as much as 40% during that same period. The secondary effects of a strong dollar have only served to reinforce the pain in these markets and spread it to others. International net capital flows away from Emerging Markets (in favor of the US) began in mid-2014 (>$200 billion in the second half of the year) and accelerated in 2015 ($550 billion in 2015 – the first negative annual net capital flow to emerging markets since 1988), driving up local interest rates in those markets at the same time dollar appreciation increased the relative cost of financing their US-dollar debt. This was a painful double whammy after already experiencing a decline in the value of their commodity exports. To add insult to these injuries, China, a major consumer of global commodities, began slowing as well, in part because its currency was pegged to the appreciating dollar. In other words within a relatively short period, commodity exporters’ earnings collapsed, their debt service increased, local interest rates rose and one of the Emerging Markets’ biggest country customers was on its knees. . .mostly due to the primary and secondary effects of a rising dollar. As we wrote in our Q3 communication, China finally buckled under the pressure of an appreciating currency, devaluing on August 10th and unleashing the first wave of global volatility associated with tightening Fed policy. From August 10th through August 26th (the bounds of the first selloff), core bonds, rather than buffering risk in traditional portfolios, actually lost value along with risk assets (in fact, correlations rose sharply during the period). The typical “flight-to-safety” toward bonds made no sense as investors found themselves staring down the barrel of an imminent rate hike that could quickly wipe out whatever temporary safety benefits those bonds may have been able to impart. Volatility reared its head again from September 16th through the 28th and again, bonds did very little, validating this conundrum. By December 2015, the correlation between bonds and equities were strongly positive, an unusual relationship by historical standards. Diverging further from other developed-country central banks, the Fed formally raised rates on December 18th, bringing to an end a years-long process of exiting zero interest rate policy. 25 basis points was a hike of tiny proportions, but in the context a world that overwhelmingly relies on bonds to diversify risk assets like equities, REITS, commodities and so on, it represented a moment of portfolio crisis. After all, if bonds couldn’t be relied on to offset other risks in a portfolio going forward, a traditional portfolio by definition had too much risk in it. In other words, if bonds were not acting as an offset to equities, equity risk would have to be reduced to offset this loss of diversification. We believe this portfolio rebalancing effect may deserve considerable blame for the de-risking we have witnessed so far in 2016. This is evidenced by significant fund flows from equities into cash and bonds in January. More fundamentally, however, recent volatility should continue to be thought of in the context of a US central bank that is diverging from the rest of the world. Chinese market gyrations and falling oil prices certainly have played their part in reminding investors that risk exists, but they’re not new issues by any stretch. Rather, they’re symptomatic of the ongoing adjustment in capital markets to the underlying tightening of policy. Heightened concerns about recession are also overblown (most of the Q4 weakness in GDP, manufacturing and recent earnings reports can largely be tied directly or indirectly back to the strong dollar issue; on the other hand, more important fundamentals to the US business cycle like domestic demand, services and, to a lesser extent, business investment and employment growth, all continue to point to a growing economy for the foreseeable future. Furthermore, leading indicators of employment growth (initial claims, firms unable to fill job openings, and temporary services employment) show a labor market that is actually running downright hot. It should not be surprising that the Fed raised rates into this strength. By and large, we like the hike. Moving to normalize monetary policy after nearly 8 years of crisis-era interest rates is healthy. It’s healthy because the economy has recovered well beyond the situation that justified the ultra-low rates in the first place; too low for too long can lead to unintended risks. From an economic standpoint, we think it’s actually stimulative; when nominal rates are anchored at zero and the real economy grows, inflation expectations are invariably driven downward. Hence, moving away from zero takes the lid off of inflation expectations and should drive consumption. Furthermore, we are a credit-based economy – low interest rates may have successfully discouraged saving, but they’ve also been a deterrent to lending. Finally, and most important to portfolio construction, ultra-low interest rate policy has led to distortions in capital markets (much of the time, investments across the spectrum have been driven more by central bank guidance than by their underlying fundamentals, while safe-haven assets like bonds have been transformed into a source of instability in portfolios). We think moving rates higher will move us closer to investing normalcy. We’re nowhere near there yet, but it’s a step in the right direction. The first few weeks of 2016 have looked remarkably like the third quarter of 2015: similar pain across similar asset classes, with very little help from traditional diversifiers. As the central bank divergence story continues to evolve this year, we remain underweight interest rate risk, favoring lower volatility equity strategies to mitigate risk rather than just bonds. On the growth side of portfolios, we remain underweight asset classes that continue to channel significant primary or secondary exposure to interest rates, namely REITs, Emerging Markets, Commodities, High Yield Bonds, and Small Cap Stocks. We are already beginning to see significantly greater market differentiation between high quality and low quality assets as a result of waning central bank influence in the market. This has been particularly supportive of our low volatility equity strategies. We will continue to rely on these strategies in the Core Growth bucket at least as long as volatility is elevated. Adding to this theme, we’ve allocated a portion of the portfolio to a market neutral strategy, which has the potential to exploit this quality/growth divergence but with very little outright market exposure. Credit spreads (the difference between corporate bonds and treasuries) have been deteriorating largely in the hard-hit energy sector (so far). 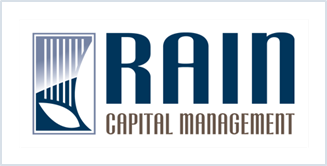 Rain portfolios currently have no de facto exposure to High Yield and are very underweight corporate credit in general. However, as spreads deteriorate to levels last seen in August 2011, we are beginning to evaluate the potential for an increase in the default rate in energy names and, likely a widening of credit spreads across other sectors. In the context of a healing economy, we would view heighted default risk as fairly limited to the energy sector and not a harbinger of broader credit issues in the economy – think Adelphia, WorldCom, K Mart, Global Crossing, etc. in 2002 rather than the broad credit collapse of 2007-08. An allocation back into credit strategies (from Core Growth allocations) may make sense at some point in the foreseeable future. We don’t discount the possibility that the pain in Emerging Markets could lead to devaluation pressure, local systemic banking issues or outright default on external debt. Previous US interest rate cycles have been the catalyst for these types of crises in the past. While markets may be appropriately pricing these risks locally, we’re mindful of the economic linkages between countries – the possibility, for instance, that Spanish banks (who have large credit exposures to Brazilian banks and corporates) may be a conduit of Brazil risk into the broader European Union. As such, our global exposures are largely dollar hedged and focused on areas less likely to experience secondary risk from these effects. “The Year That Nothing Worked: Stocks, Bonds, Cash Go Nowhere,” Lu Wang, Bloomberg Business, December 27, 2015. Capital Flows to Emerging Markets, Institute of International Finance, October 2015. Three Scenarios for Interest Rates in the Transition to Normalcy, Cooke and Gavin, Federal Reserve Bank of St. Louis Working Paper Series, October 2014.